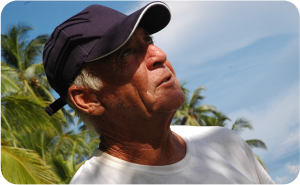 Captain Mark Pomerenke is a highly experienced entrepreneur and sailboat captain based in the Bahamas. Until the recent sale of his catamaran, Stray Cat III, he offered charter trips to tourists from around the world, touring the Caribbean and many of the 700 islands within the Bahamas archipelago. Along the way, clients of Captain Mark Pomerenke often developed into lasting friendships with shared cherished memories. He began his career in the United States Air Force in 1960 when he enlisted at the age of seventeen marking the beginning of his aviation career, Captain Mark Pomerenke served both in the air as a Flight Engineer and on the ground as a Crew Chief of fighter aircraft. He was discharged honorably a Master Sargent in 1980 following injuries that resulted from an aircraft accident. When off duty, he trained for and obtained his Private and Flight Engineer licenses. His military career was followed by 15 years of work within the healthcare administration industry. An administrative internship at Phoenix General Hospital led to a number of directorial roles. Later, he founded and ran Professional Management Associates, an organization specialized in consulting with physicians on matters pertaining to practice management. He held this position until the early 1990s, when a sea change led to purchase a catamaran and begin his maritime career.